Customers can earn and accumulate points when shopping in our retail locations, which in turn can be redeemed for rewards. 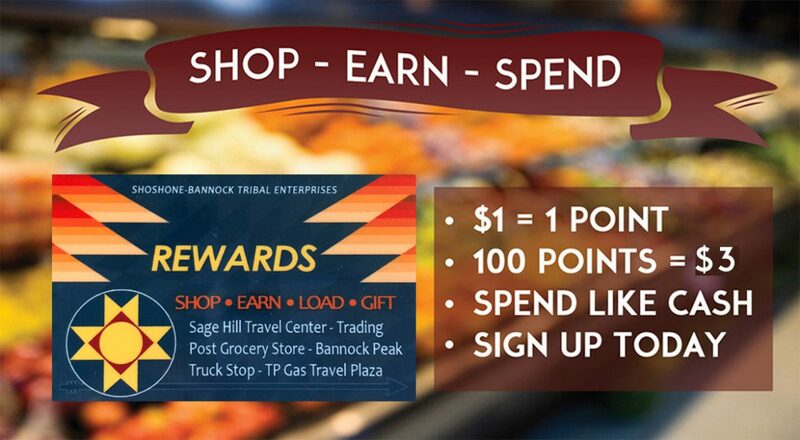 Once a customer earns 100 points the system will automatically load $3 onto their card. 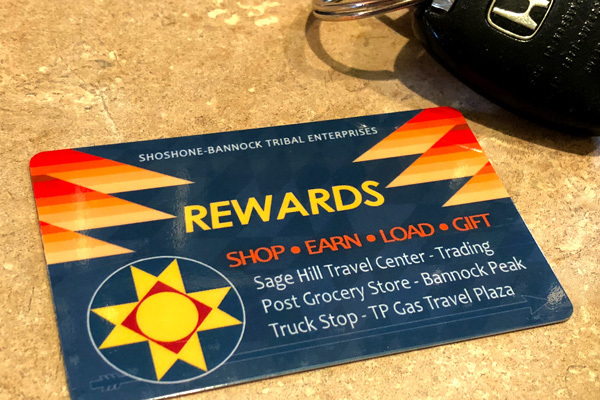 Can be used at Sage Hill Travel Center, Trading Post Grocery, Bannock Peak Truck Stop and TP Gas. To learn more visit our Rewards page.